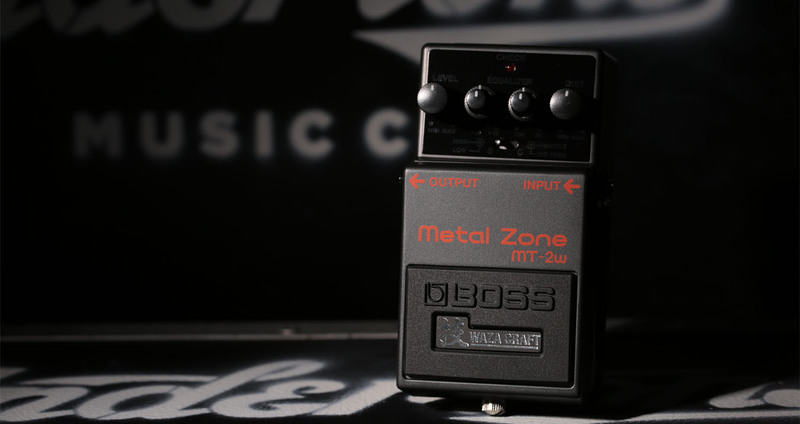 Boss shocked the guitar community with the Waza Craft range of amps and effects in 2014. These supercharged adaptations of classic designs messed with the status quo. Since when have Boss made wholesale updates to their pedals? And what are Boss amps all about? A Boss division of highly skilled designers and engineers. Dedicated to making high-end pedals and amps. Custom modifications to classic guitar effects. Professional-standard amp heads and speakers. The boutique pedal market has boomed over the past few years. More guitarists are saving for quality over quantity. Boss, on the other hand, aren’t exactly known for their high-end effect pedals. Of course, they’re still guitar industry mainstays. They just haven’t been pushing the pedal boundaries for a little while. This is where Waza comes in. ‘Waza’ means art and technique in Japanese. From the offset, Boss’ aim was to revamp their range to attract guitarists looking for niche designs. By doing so, older effects benefit from a much-needed update to suit the modern music scene. How is Waza Craft unique? All Waza Craft products are built in Japan by highly experienced engineers using top quality components. The discerning feature across the Waza Craft pedal range is the Custom switch. This is the real game-changing addition to the modest stompbox casing. As well as delivering the original sound of the pedals, the switch links to a second circuit. This drastically expands the sonic capabilities of the effects. They’ve even been thoughtful enough to reissue the likes of the legendary DC-2W Dimension and DM-2W analogue delay. While the original stompboxes are only sold by private dealers at premium prices, these new Waza pedals are readily available between £100-£200, and with better specs to boot. Not only do you buy into an exclusive sound, but a completely fresh take on the effect too. Boss have branched out into both beginner and pro amp markets. The resulting Katana is arguably one of the best cheap combo amps out there, partly because of the Waza Craft design speakers. However, the guys at Waza Craft had bigger plans. They were tasked with creating the ultimate ‘Brown sound’ high-gain head and cabinet. Unfortunately, guitarists look upon solid-state technology with distaste. But these huge 75 and 150 wattage heads easily rival any tube amplifier. What’s more is that they’re sonically versatile, and have excellent connectivity like MIDI and two FX loops. Boss’ parent company Roland has a motto: “We design the future.” It’s fair to say Waza Craft is ticking that box, as well as reminding us of their illustrious history. If you liked this read, check out more of our Learn articles! Have a look at the Waza Craft and Boss ranges at Andertons.